On Friday Sept. 1, the Student Programming Board (SPB) announced two feature artists for its annual Fall Fest production. 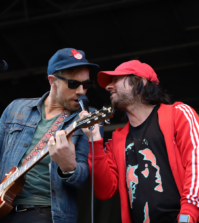 The Plain White T’s and The Ready Set will be headlining this year’s show, which is also host to the infamous food trucks, photo booth and excited Quinnipiac students ready to rock out to their favorite band. This year’s selection is unlike any SPB has made in the past as they went for a duel headliner consisting of two pop artists that the majority of millennials would recognize. 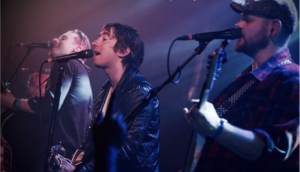 The Plain White T’s bring more of a pop rock band vibe that many college students can remember jamming out to way back in their middle school days. Three of their greatest hits include “Hey There Delilah”, “Rhythm of Love” and “1, 2, 3, 4”, all arguably 21st century classics. Their tone of melodic vocals keeps fans listening, even though “Hey There Delilah” came out over 12 years ago. Similarly to The Plain White T’s, The Ready Set is an artist whose sound has been a key backdrop to unforgettable middle school days. No doubt their most popular single, “Love Like Woe” is a song that no one can resist jamming out to. Held on Saturday Sept. 16 starting at 12:30 P.M. in South Lot, Fall Fest is sure to not disappoint this year. The entry fee is free, but you do have to spare an extra couple of bucks if you would like to purchase something mouth watering from the food trucks. Prepare to grab your best denim and best friends to relive those middle school days right here at QU.